Cheating Sunrise is available on the Amazon Kindle store. The paperback version is available to buy now. $16.49 (US) and £9.99 (UK). 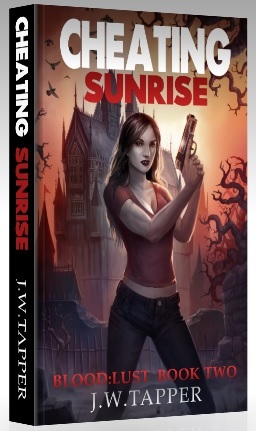 There’s a new vampire exposure group in town: Project Sunrise. They have the manpower, the weapons, and the element of surprise. 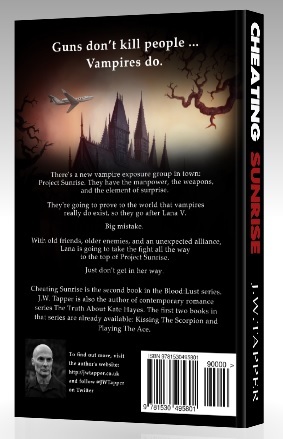 They’re going to prove to the world that vampires really do exist, so they go after Lana V.
With old friends, older enemies, and an unexpected alliance, Lana is going to take the fight all the way to the top of Project Sunrise.